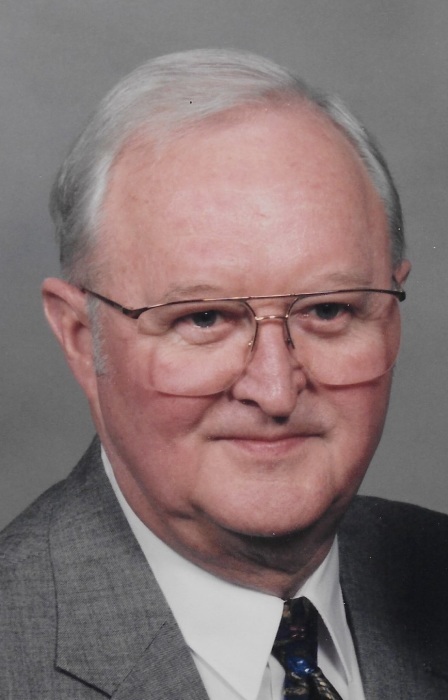 Obituary for Raymond W. Klaiber | Lynch-Green Funeral Home, Inc.
Raymond W. “Tops” Klaiber, Jr., 92, formerly of 122 Locust Road passed away on Tuesday, March 19, 2019. Mr. Klaiber was born on May 5, 1926 in St. Marys, a son of the late Raymond E. and Ruth B. Hannibal Klaiber. He attended St. Mary’s Catholic Schools and graduated in May of 1944. Ray enlisted in the Army Air Corp on October 24, 1943 in the Aviation Cadet Corp, he trained at Keesler Field, Amarillo, Texas, and B-29 Flight Training at Walker Air Field, Kansas, he served in the 8th Air Corp as well as the 332 Troop Carrier Group from 1944-1947, and Munich Air Base, Germany, as a Flight Engineer. He was Honorably Discharged on August 7, 1946 at Fort Dix N.J.
On November 18, 1950, he married Elsie M. Schneider, who survives of St. Marys. They were married for more than 68 years. When returning from service Ray worked for (5) years at the National Molded Company after that he worked for the Stackpole Corporation for 38 years, during that time he attended classes from Penn State University, International Correspondence and American Society Technical Engineers, graduating as a Mechanical Engineer. Upon his retirement he was Superintendent of Technical Services. 7 years on the Zoning Hearing Board for the former Benzinger Township and assisted in setting new zoning laws. (6) years on the Library Board. Served as President of the Elk County Association of Elected Officials. (4) years on the State Association Resolution Committee in Harrisburg. Served as Chairman and Vice Chairman Benzinger Township Board of Supervisors over a (10) year period. Finance Chairman for Elk County Elected Officials Committee. Served on State level Board for Township over (4,000-10,000). Board member of St. Mary’s Airport. Served on CERP Committee as Board Member. Ray was the Executive Director for the St. Mary’s Area Economic Development Corp for over 15 years, during his tenure the Board saw project goals surpassing their surprise. Ray’s goal was to somehow help return the City of St. Mary’s and the former Benzinger Township to the Industrial Giant it was before the closing of the Stackpole Carbon Co. Other memberships included The American Legion Post 146, The B-29 Bomber Group, and Society of the Manufactures. In addition to his wife of more than 68 years; Elsie Schneider Klaiber, he is survived by a daughter; Carol Ann McNamara and her husband Robert G. McNamara Jr, of Susquehanna, Pa. and a grandson; Lieutenant Colonel Stephen T. McNamara, Harrisburg, PA. He is also survived by two brothers, Allen Klaiber and his wife Jane and Thomas Klaiber, both of St. Marys, as well as by several nieces and nephews. As Queen of the World Church and School Building were in progress Ray spent countless hours volunteering and never missed setting up the Christmas Crib at Christmas time. Throughout his life, Elsie the love of his life assisted him in all his endeavors. In addition to his parents, he was preceded in death by two brothers, Donald and James Klaiber. Visitation will be held on Saturday, March 23, 2019 at the Queen of the World Church, 134 Queens Road, St. Marys, PA 15857 from 10:00 AM until the time of the Mass. A Mass of Christian Burial for Raymond W. Klaiber, Jr. will be celebrated at Queen of the World Church on Saturday, March 23, 2019 at 11:00 AM with Rev. Jeffery Noble, Pastor, as celebrant. Military Honors will be accorded by the St. Marys Servicemens Burial Detail. Interment will follow in the St. Marys Catholic Cemetery. Memorial contributions, if desired, can be made to Queen of the World Church or a charity of donor's choice.